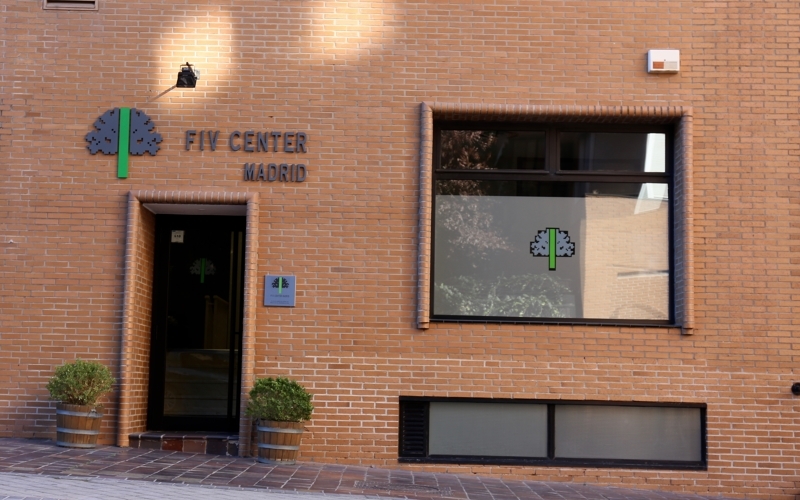 FIV Center Madrid provides state-of-the-art, comprehensive fertility treatments and reproductive solutions to patients struggling with infertility. 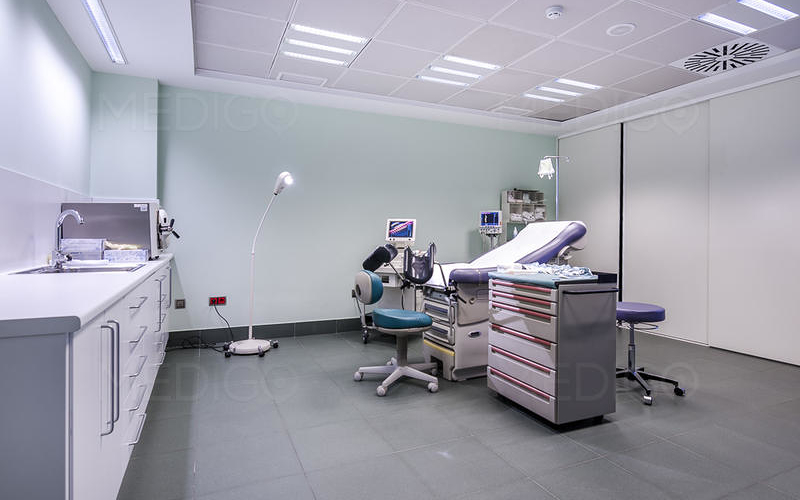 The clinic offers the most experienced fertility doctors in Spain with both basic and advanced assisted reproductive technology for female and male couples. 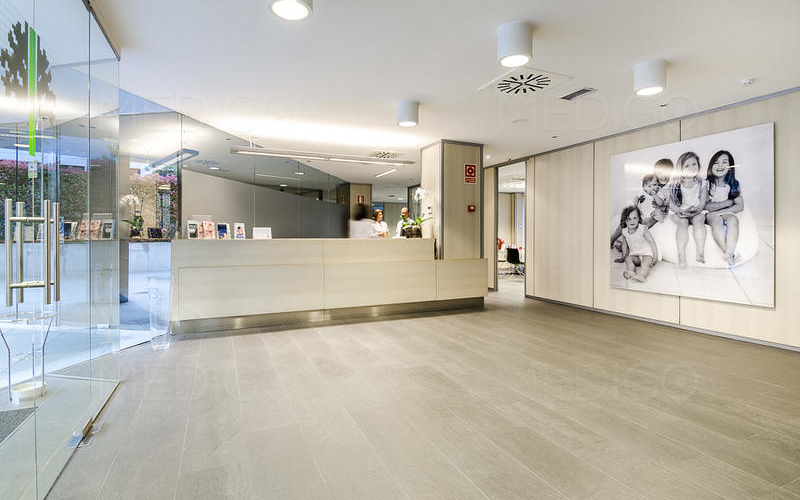 The center is distinguished as an accredited practice by the Department of Health for the Community of Madrid, the national Ministry of Health and the Spanish of Fertility. 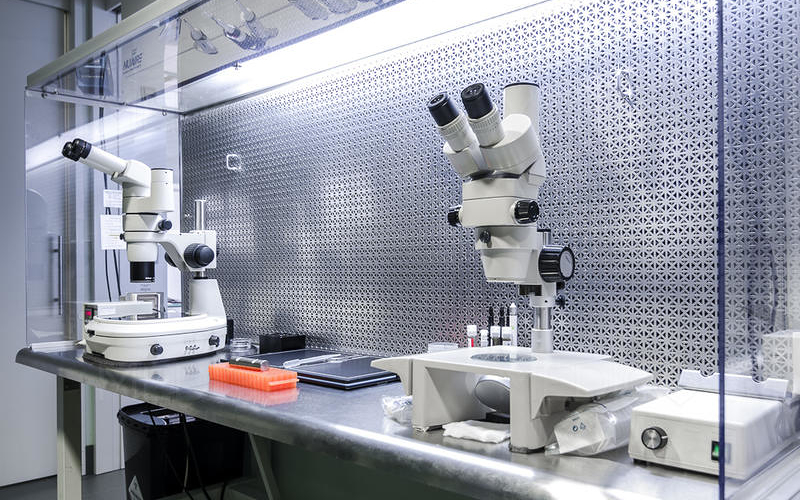 The clinic’s advanced and equipped laboratory is also certified and accredited by the European Society of Reproduction. Fertility doctors at FIV Center Madrid understand that having a baby is the ultimate goal of your emotional journey to getting pregnant. 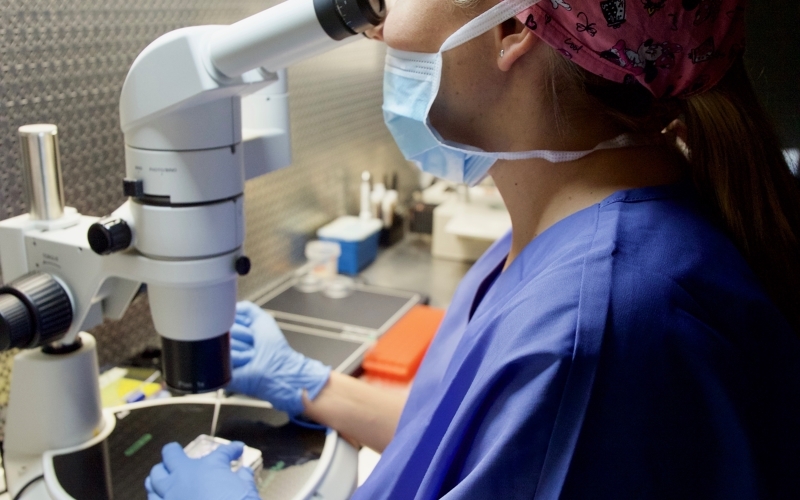 Therefore, the clinic assembled the best team, breakthrough laboratory and best-practice reproductive technology to help you achieve a successful pregnancy. 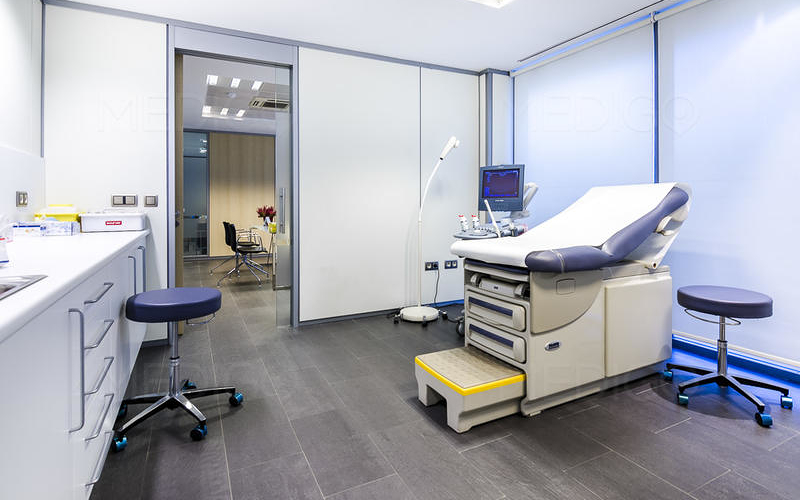 The clinic was designed with clean room conditions which minimize distress couples usually experience when seeking an IVF treatment. The clinical facilities available onsite are modern and use the latest in cutting-edge equipment. 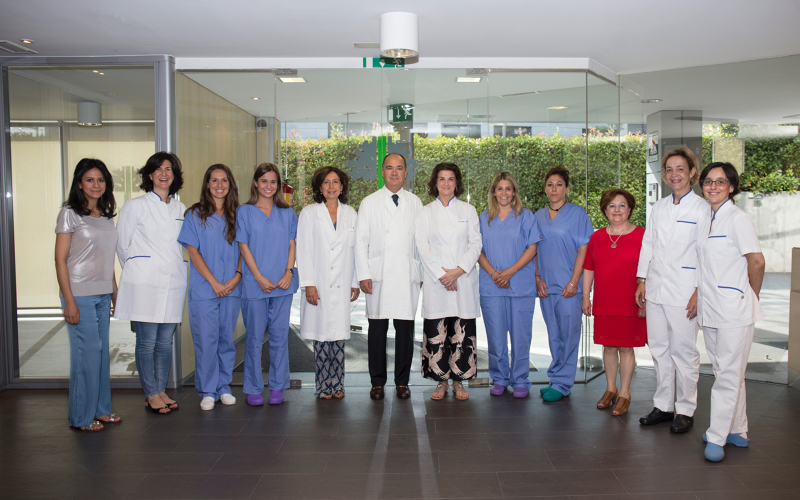 The team of fertility experts are well-trained in all aspects of IVF procedures, particularly egg donation in Madrid. 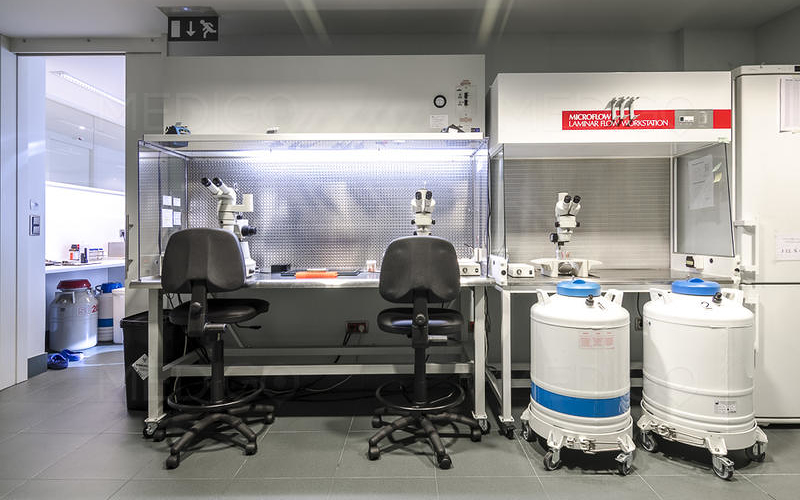 Madrid is dynamic destination for assisted reproductive treatments and health care tourism, recognized for its advanced scientific research and affordable medical facilities on par with EU standards. I wish to say thank you to Dr Caballero and his team. Naomi especially has always been so professional and helpful. We had our first treatment (egg donor) in 2015 and we are now blessed with an amazing little girl. We are currently working towards another treatment which we hope will be successful. Dr Caballero has already made the impossible, possible for us. 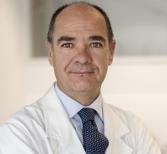 I had a wonderful experience at Fiv Center Madrid with Dr Caballero and his team! 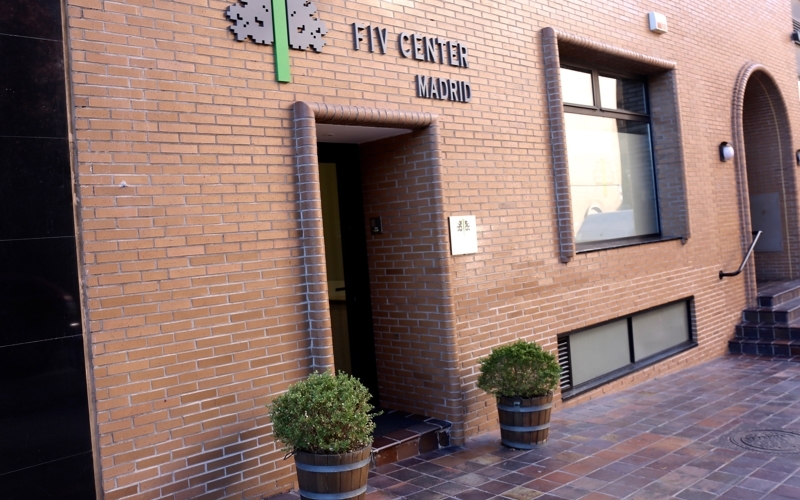 My husband and I got to find out about Fiv Center Madrid on the internet after some failed attempts at fertility treatments and a miscarriage. From the warm reception we received at the hospital to the great care and professionalism from Dr Caballero and his team throughout our treatment, we knew we were at the right place. Our dreams finally came through in the form of two beautiful daughters. I would highly recommend this hospital to anyone seeking fertility treatment. Mi sono trovata benissimo con il Fiv Center sia a livello umano che professionale. Sono stata seguita passo passo fin dai primi momenti e fino al momento "finale". Li ringrazio sia per l esito estremamente positivo, nel mio caso, e sia per non avermi fatto sentire sola in una situazione così delicata. 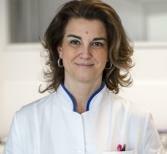 My husband and I chose FIV Center Madrid for our 1st experience with IVF treatment. We have been very pleased with the professionalism, care and attention they provided. Dr Caballero and his team were always available to answer our questions, e-mails, Skype calls... We felt well take care of. 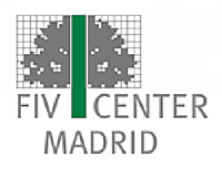 To anyone considering using donor eggs to have a child, I would highly recommend using FIV Centre Madrid. It takes courage to make this decision and you want to feel that you are in the most capable hands when you have been given this gift, we found this to be so at FIV Centre Madrid. All the staff we encountered both before and while we underwent treatment from Naomi our friendly and helpful liaison administrator, through to Dr Caballero made us feel relaxed and at ease. Our questions were answered promptly, and the advice given before we left Australia very thorough. This thoroughness reassured us that we had made the right decision both in choosing to use a donor and our choice of clinic. 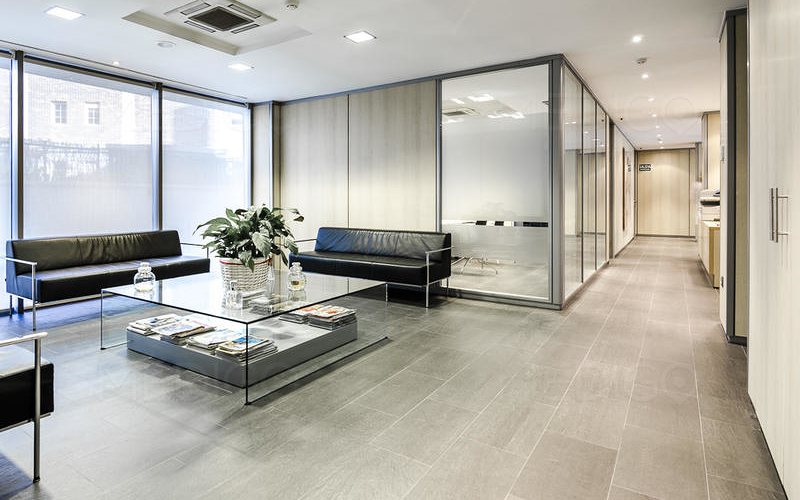 The clinic is very modern and well-equipped, located just a short train journey from beautiful Madrid. And for us travelling from Australia, it was certainly a joy to have our treatment and take an amazing holiday in Spain. Follow-up from the clinic was very supportiv Thanks to FIV Centre Madrid and our generous donor my husband and have our precious son, who is now 2. 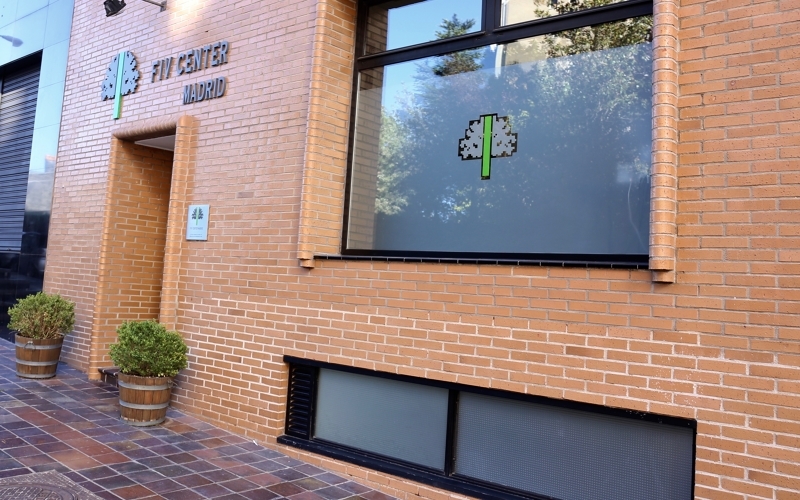 I found FIV Madrid to be very professional, caring and efficient; they were great at communicating via email and Skype before my treatment, and carried on the excellent service afterwards. 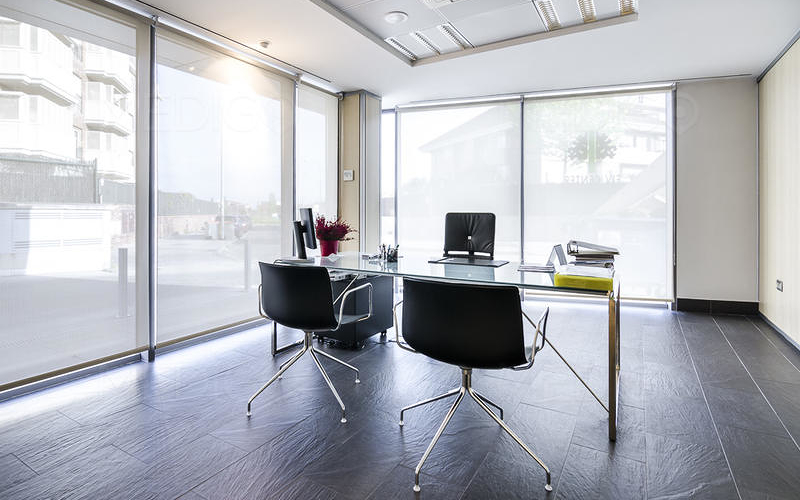 The clinic is modern and luxurious; more like a smart office than a hospital environment, which was very different to my experience in the UK! 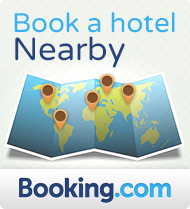 The staff were also very helpful when I was organizing travel to Madrid with hotel suggestions and local info. I would definitely recommend them to anyone considering treatment in Spain. 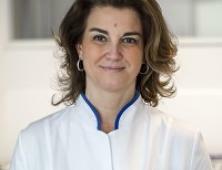 Je suis allée à la clinique FIV center Madrid. J'ai été très bien reçue par le personnel sur place. Ils sont professionnel et aimable! Je me suis sentie la bienvenue. Comme je parle français, ce n'est pas évident en Espagne, mais il y avait une personne parlant français qui répondait à mes questions et qui facilitait les échanges avec le docteur. Je recommanderais cette clinique sans hésiter! It was great experience to meet up with the Dr. And staff there. Very calm and systemized procedure. Very clear information are given to the clients. The clinic compasses a team of fertility experts specializing in all areas of reproductive treatments aiming to provide patients with the highest pregnancy success rates. 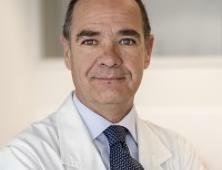 Faculty of Medicine: University Complutense Madrid. Residence (MIR): University Hospital Gregorio Marañón. Madrid. Felloship: Royal Victoria Hospital. Mc.Gill University, Montreal. Canada. Faculty of Medicina: UniversityComplutense. Madrid. Residence (MIR): Hospital Gregorio Marañón. Madrid. Faculty of Medicina: University Complutense. Madrid. Residence (MIR): Hospital de la Princesa. Madrid. Leading the embryology clinic, Antonio Raya and Inaki Solaguren, aiming to provide patients with the highest pregnancy success rates. Madrid is a vibrant crossroads of art, culture and history; the Spanish capital has an addictive appetite for celebrating life and merrymaking around the clock. Filled with captivating contrasts, Madrid can be best described as a cosmopolitan urban hub and traditional Spanish town. Visit Palacio Real, an 18-century palace built in the 9th century perched on the terrain that used to a fortress. Inside, the palace consists of 2,800 elegant rooms that feature Salon de Gasparini, King Carols III’s private apartments. 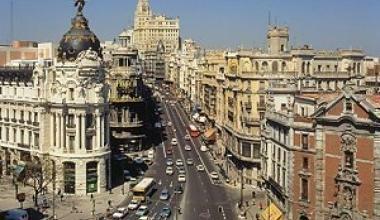 Tantalizing tapas await you in Madrid’s bars and delightful deli's. Head from one tapas bar to the next or sip sparking Spanish wine at Plaza de Santa Ana or Plaza de Santa Barbara. Follow the lead of Anadalusian gazpacho’s indulgent flavors, Valencian paella and cocido, Madrid’s own lamb and vegetable stew. A must-try post-dinner drink is Anis, anise-flavor liqueur produced outside the charming village of Chinchon. 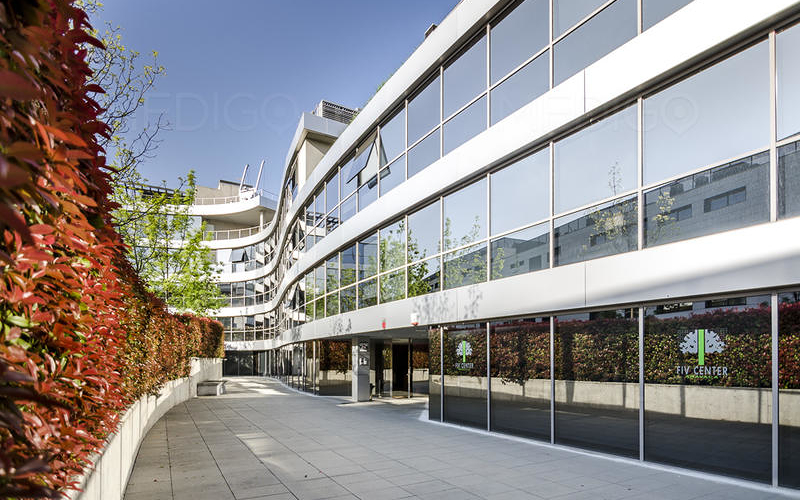 AC Hotel Cuzco Madrid is conveniently located near the clinic and close to Madrid’s Palacio de Congresos as well as Santiago Bernabu Stadium. The hotel offers 319 fully-refurbished rooms to provide guests with all the modern conveniences including WI-Fi Internet connections, fitness center and a 24-hour dining service at Belmecher restaurant. The reasonably priced La Posada de el Chaflán, is walking distance from the clinic and easily accessible from the airport. Our patient coordinators can give you tips to find accommodation in the city centre, along your budget. For long-stay periods, we recommend you to rent a flat at Apartamentos Alcocer 43, also at a walking distance from our clinic in Madrid.